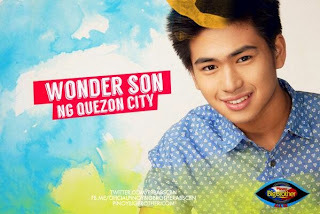 Home Uncategories Pinoy Big Brother PBB All In: Manolo Pedrosa evicted, Big Night set for Aug. 24! Pinoy Big Brother PBB All In: Manolo Pedrosa evicted, Big Night set for Aug. 24! On his 106th day in the house, Manolo Pedrosa has been evicted from Pinoy Big Brother All In during the 11th Eviction Night held earlier. That's quite a big achievement already for Manolo to stay that long inside the house, but it's really very sad to see him getting evicted, 'coz he is very deserving to be part of the Big 4, more deserving than most of the 6 housemates who are still in-house. He's actually deserving as well to be named Big Winner. It was just so unfortunate that he was up for eviction against Jane Oineza, who's got a huge fan support. Voting results showed he's no match to Jane, who got more than half of the votes. It was already Jane's 5th time to survive eviction, a major reason why the other housemates deem her as a strong competitor for the top prize. Have you seen earlier the reaction of Loisa Andalio and Joshua Garcia upon learning that it was Manolo who got evicted and not Jane? Their shocked faces were far from happy knowing it's Jane who will be competing against them for the Big 4 slots.